Michelle joined the field of behavior analysis in 2006 through her work with parents of children with developmental disabilities. She received her master’s degree in Teaching with specialization in Applied Behavior Analysis and her Board Certification in Behavior Analysis in 2012. Throughout her career, Michelle has lectured to both parents and professionals regarding topics relevant to the disability community. Michelle has worked with individuals of all ages across a variety of settings including family homes, schools, adult day programs, and vocational settings. She has extensive experience working with individuals with autism spectrum disorder and other developmental disabilities. Michelle has a passion for helping individuals and families achieve success and have meaningful life experiences. In addition to her work with individuals and families, Michelle also currently serves on the Vendor Advisory Committee of the North Los Angeles County Regional Center and as the Public Policy Chair for the Southern California Consortium for Behavior Analysis. Through her work, she has developed a passion for public policy and regularly meets with legislators to discuss the needs of the developmental disability community and provide public testimony to Senate and Assembly Committees. 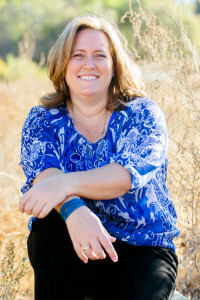 Michelle began her career in the field of applied behavior analysis following her son’s diagnosis of autism at the age of two. Following his diagnosis he received in-home ABA for three years and has also benefitted from a variety of special education services during his elementary years. Now in high school, Ty is fully included in general education, plays football and participates in show choir.